Find a vacation home to rent in Perugia from our list of vacation rental properties. Campaya has over 539 vacation homes available in Perugia, which give you the possibility to locate a unique accommodation in Perugia which completes your check-list in search for the perfect self catering vacation apartments in Perugia or vacation villas in Perugia. This pleasant semi-detached duplex house with a small garden and swimming pool is just 150 metres from the lake. 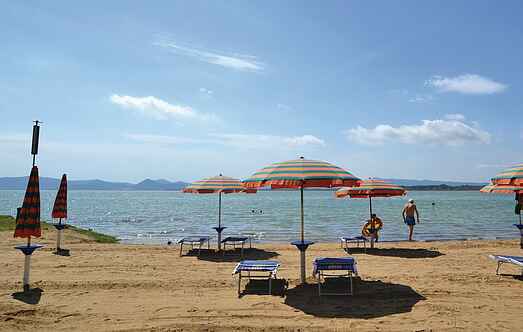 Apartment on the first floor of a building just 2 km from Castiglione del Lago and 100m from Lake Trasimeno. Fenced in garden equipped with table, chairs and barbecue. This beautiful holiday home, Podere Caigatti, is located in a scenic location, nestled in the hills surrounding the medieval village of Montone, with a wonderful view over the Tiber Valley. This pleasant holiday home with covered terrace is on a park-like ground with rustic, convenient furnishings in the style of a country house. A children's cot is provided on request. Nice holiday home with private pool and lake view in San Feliciano. At your disposal you will find a covered terrace with barbecue, to enjoy pleasant meals al fresco. Large country house tastefully renovated and decorated in Umbrian country style including antique pieces. Enjoy the special atmosphere of this old house. Nice holiday home near the small village of Calzolaro, 5 km from Trestina. Here you will find a pleasant country house with garden and pool in a quiet panoramic position. This antique country house is set in the green hills between the beautiful towns of Perugia and Assisi at abt. 2 km from Torgiano. This holiday home in a hilly position and with private outdoor space is part of a farmhouse that produces wine and olive oil. Apartment in a beautiful semi-detached house set in the hills near Città di Castello (7,5 km), in a quiet location with beautiful views of a valley and the surrounding countryside. Comfortable cottage by the lake, with swimming pool and private tennis plots. 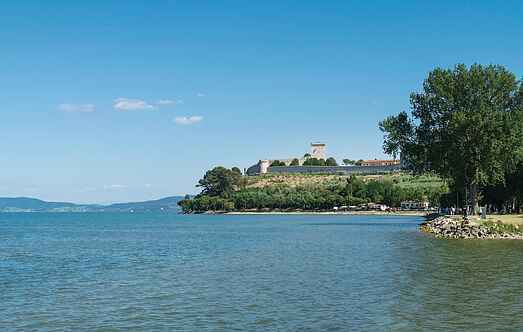 Two apartments (IUT233-IUT234) located in a farmhouse set in an ancient rural village on the banks of Trasimeno Lake in Umbria. This holiday home with private tennis court is only about 1 km from Collesanto in Umbria.